Today is the last day of this Scotland trip. I really enjoy the trip of this six days. 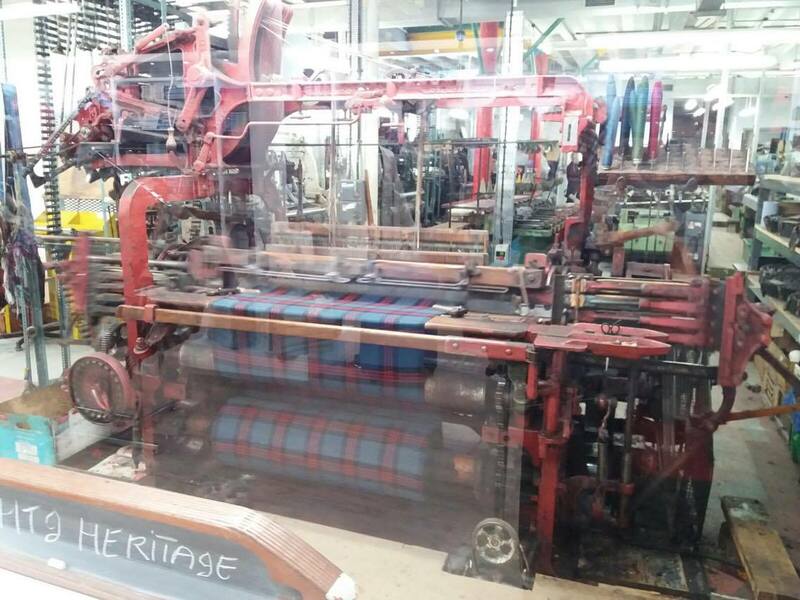 In this few day is my first to try to live in the host family, it can let me to know more about the culture of Scotland. Two of my host family are very kind and warmth , I'm very thanks you for their take care,hope that I can meet them again in next year.Also,we can stay in our partner school and join the Youth Summit. It can let me to learn more how do the Scotland students to study and their attitude,I always share my experiences to them. This trip is a very good educational tour , hope that I can join this type of study tour again and see my buddy next year. 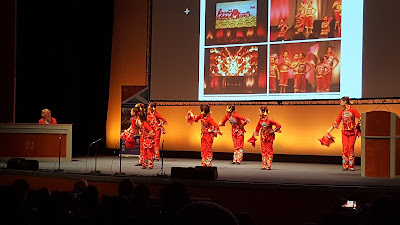 Today, I' m very amazed that the students in Scotland are keen on learning Mandarin. In the summit, you can feel how enthusiastic they are in learning Mandarin and Chinese culture. They just use 10 years to promote learning this language and the result is very fruitful and outstanding. 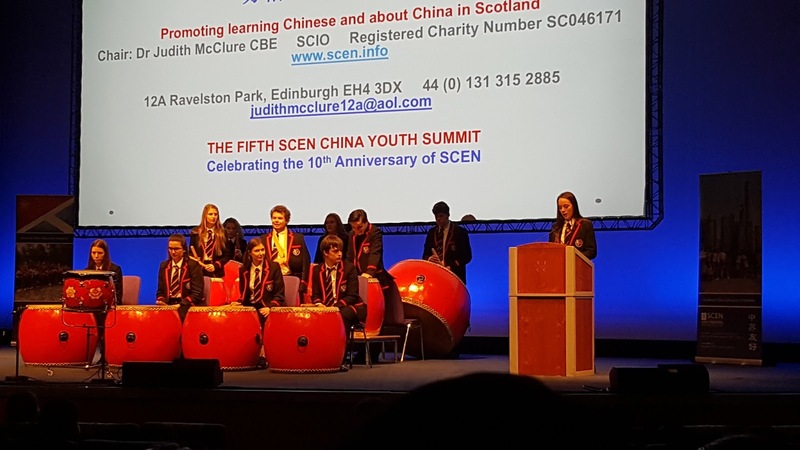 Although Scottish students may not speak Mandarin as well as Chinese students, they keep trying and speaking in Mandarin bravely. This is really worthy of appreciation and encouragement. Today we have the Youth Summit in Edinburgh international conference center,this also is the main propose of this trip.There are over 500 students and teachers come from different schools to join this summit.In the summit,each school have the chance to share their experiences in learning English or Mandarin.Over all,this is a really good experience for me to have the sharing and listen how other students learn a Language.It really is a good chance for me to communicate with different students.Finally,I"m very happy that we can talk with Lord Wilson and take a photo with him.Hope that I can join the Youth Summit next year. The students from Law Ting Pong Secondary School conducted an interview with Mr. Donald Macdonald (Head Teacher of James Gillespie's High School)! On 1/12, we went to the Edinburgh Castle and I had discovered the different uses of different structures in the castle with multiple architectural styles. Also, from the memorial record books in the memorial building of the castle, I saw a lot of names of soldiers who had risked their lives to protect the city in the wars in the past during periods of time, that let me learned that life at that time was very little and if any person not care about their safety their life will disappear. From that I learnt that everyone’s life is very unique and very weak and we need to protect ourselves. After visiting the castle, we went into a shop. Inside the shop I learn we need to try everything like the blood orange juice if do not buy then I have never known the taste of it . On the 28/11, three of us went to the Edinburgh Academy for a shadowing day. We got on a school tour for 45 minutes and walked though different corners of the school. We had been to the art room, design technology room, French room, science building and other rooms. We also got to experience a few lessons including Mathematics, English, Latin, R.A.F lesson, social service, Mandarin and so on. Moreover, we can hear the amazing and joyful sound of the choir during their practice in the morning and within the lessons. 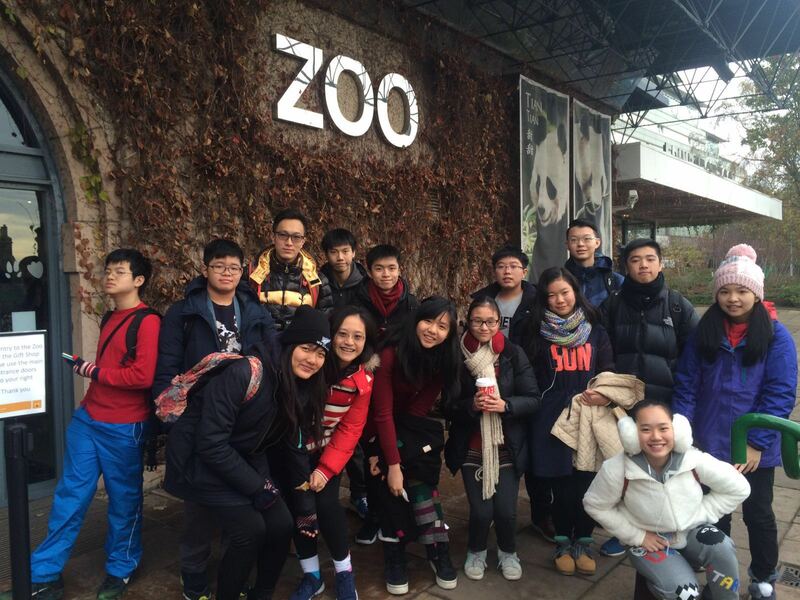 From this good experience, we have learnt the differences in knowledge level between Edinburgh and Hong Kong. For example, we (Hong Kongers) learn more advanced math in lower forms than Edinburgh's students but they learn more advanced English than us. 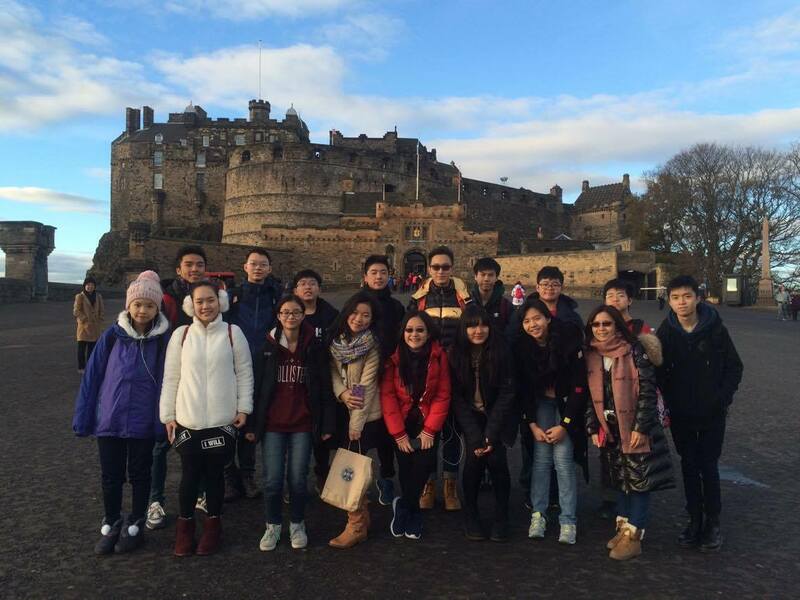 We have find out the difference in students learning attitude between Hong Kong and Edinburgh. 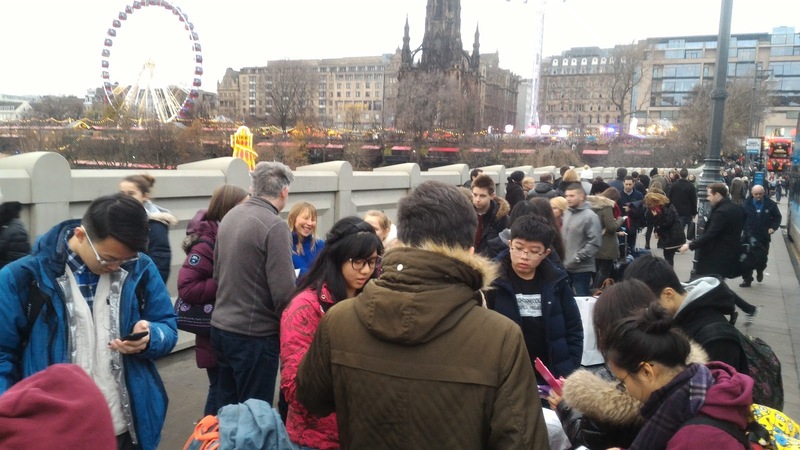 Compared with our school, Edinburgh students are more eager to learn and they are more confident to answer and ask questions while some of the students didn't really concentrate on the class and just sleep. For the activities and classes, the school gave students more opportunities to explore themselves with a variety of events such as playing hockey or rugby. Especially for the rules, the school also concerns a lot on the attitude of students to study. But comparing with our school in Hong Kong, they punish much lighter than us as they will give a penalty for the students who violated the school rules only while our phones will also be collected for two months. After the visit to James Gillespie's High School, there are a lot of things that impressed me. First, the students can choose every subject that they study, so that the lessons are more interesting and suitable for them. Second, students have autonomy in using their phone in lessons, so that people can actually do research on the topics that they are learning freely, and get to contact their parents if there's anything urgent. 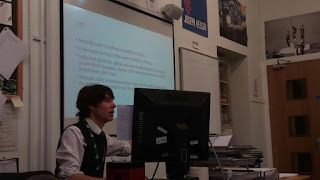 Third, they have a lot of fun things to do in class. For example, group interaction, project, drama etc. There are lots of interaction between teachers and students, which students don't really need to copy loads of notes to help their understanding towards the knowledge. oNE special thing about James Gillespie's High School is that they got 2 sizes of lockers. The students can request for the size of lockers, which I think is really nice, because different students have different needs of space for their belongings. The school is the only one which students don't have uniform. The students can wear whatever they want to. It is nice because that everyone can feel more casual and comfortable at school. Besides, the school provides lots of learning facilities for students, such as MacBooks, wide range of instruments, and rooms for practicing different artistic activities. 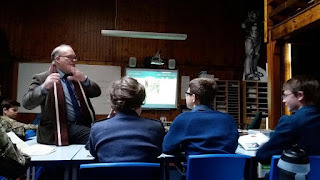 I've learnt to be respectful to teachers, and teachers should, at the same time, be respectful to students just like what the Head Teacher of James Gillespie's said. Through the day of the learning experience with my partner school (GWC), I've observed that the learning style is really similar to our school (CSS), although there are a few more languages in their studies like Latin, French, Spanish. 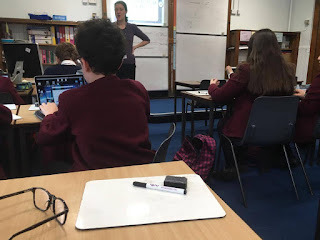 In their lessons, such as maths, they use whiteboards when answering questions, they have their own learning time in lessons. In Latin, they use recordings and textbooks also dictionaries to help them understand. In Drama, they would have to write their own scripts and act the character. The school gives an open space for students to think and be themselves. The classrooms in the school are really big with wide windows. There is a stage in the front of the room and there are various screens that are like whiteboards which teachers could write on. The environment is really nice as there are reddish carpets on the floor, it's a really cozy room with old furniture. Overall, it is an amazing experience. 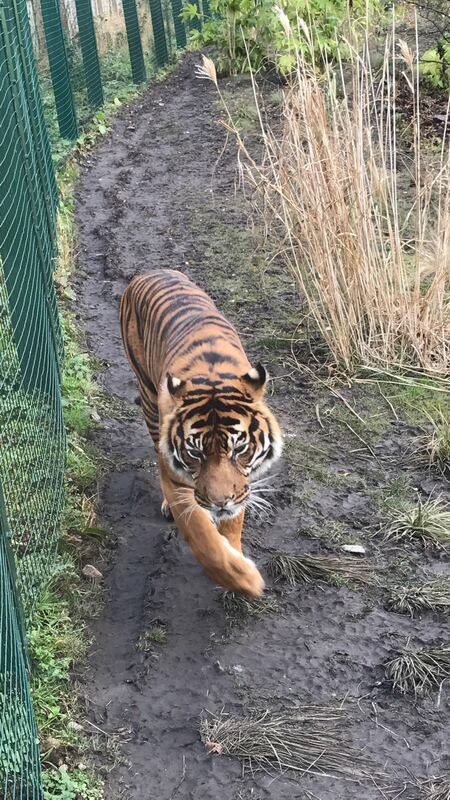 We went to the Edinburgh Zoo today and I saw a lot of adorable animals and even some endangered animals ; apart from enjoying the happiness of visiting these lovely animals(and the brutal breeze), they are actually admonishing us - we the human have to stop destroying the earth, over-hunting and ruining their habitats. This is Sumatran Tiger and it is actually critically endangered. Their habitat is rain forest, however human is keep chopping down the woods and trees and over hunting them; Sumatran Tiger becomes one of the endangered animal. We should treasure the resources on the Earth and not wasting any useful things, trying our best to achieve the 3R's : 'Reduce', 'Reuse' and 'Recycle'. 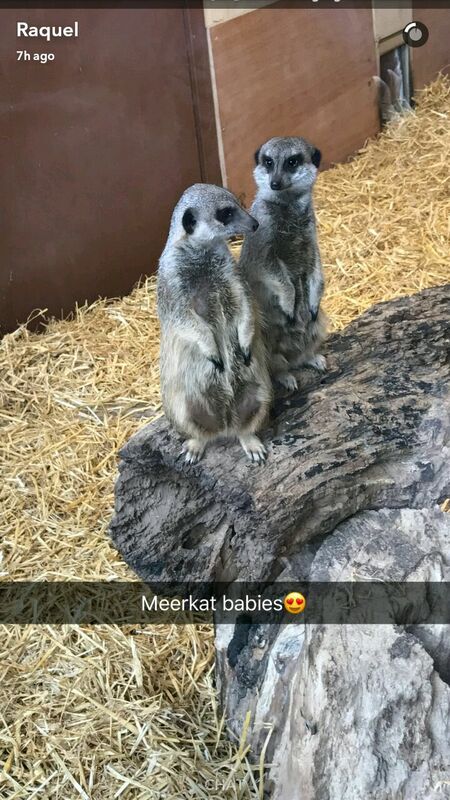 This is Meerkats and they are classed as 'Least Concern' by IUCN because over-hunting and even gassed in their burrows particularly in areas where they pose a threat the humans.They are pale brown on the underside and on their face, with silvery-brown on the upper parts and eight darker bands on their back and dark eye rings with a dark tip to their slender tail. 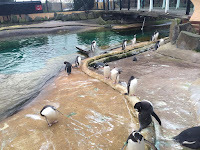 There is a range of threats that penguins are facing now, large scale of commercial fishing let penguins lose their diets. Ocean pollution stick the feathers of penguins and they have difficulties to swim and survive. 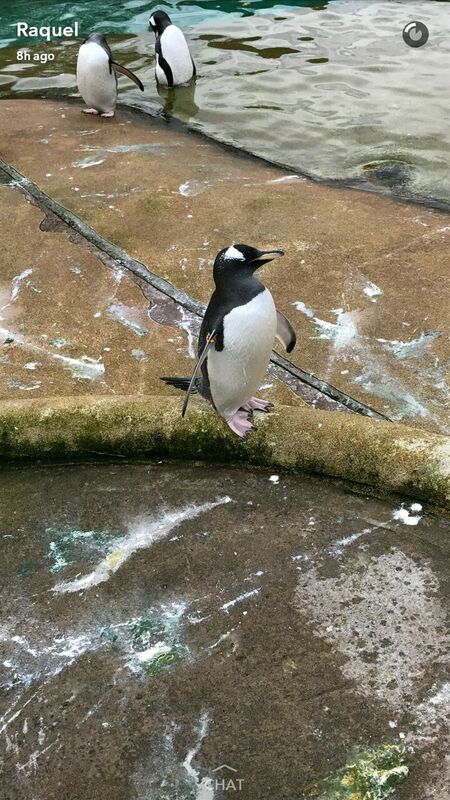 Gentoo penguins are near threatened animals. 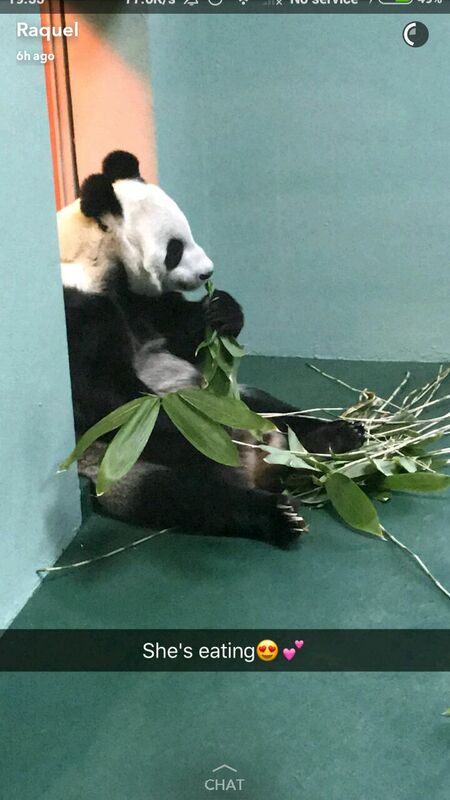 Yang Guang is a male giant panda which is eating his favorite bamboo. Panda lives in the mountain forests of the central China. They are classed as vulnerable now because loss habitat. Same as the Sumatran Tiger, humans are over chopping trees and the mountains and forests are disappearing. There are 2,281 giant pandas on the world now. As the well development of human, animals are keep dying and decreasing, we should attach the importance to animal protection. Certainly, treasure the things we got and never waste are prescribing the right medicine for an illness of the Earth and the animals.